This enchanting little street, although often full of tourists, retains its traditional charm. 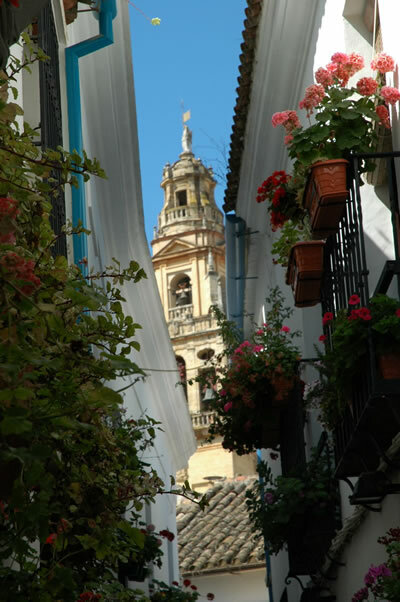 White-washed walls, geraniums and a fountain in a tiny square provide Cordoba's most popular photo opportunities. The belfry of the Mezquita stands in the background.